1. 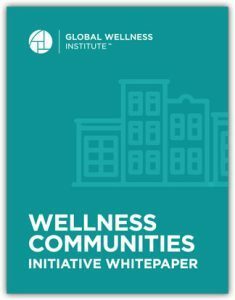 What is a “Wellness Community”? 2. What are the minimum criteria recommended to consider a community “well”? 3. What other criteria may be considered? 4. What measures – qualitative and quantitative – should be considered when attempting to attract, justify and/or measure investment in this type of real estate?